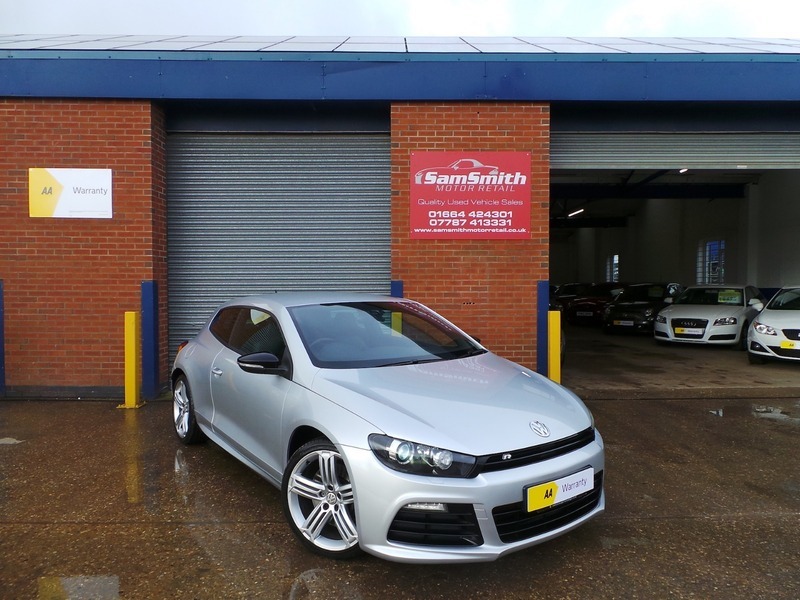 This has got to be the finest example of the Scirocco R available. Immaculate condition throughout this car really does need to be seen to be appreciated. Only 2 owners from, and the first owner only completing 387 miles in the car before falling ill and selling the car back to Volkswagen. Full Volkswagen service history including the all important Cambelt and Waterpump being replaced and the DSG gearbox oil service. This car wants for nothing and drives like a brand new car. 4 excellent condition Goodyear Eagle F1 tyres. The car also benefits from a RAC Trackstar Cat 6 tracking system. The car has got every invoice for any work that has ever been carried out and never seen another garage other than Volkswagen. Don't miss the opportunity to own this little gem of a car! All of our cars go through a very thorough workshop inspection, get freshly serviced if needed and come with a 3 month fully comprehensive (parts and labour) warranty and AA cover. Every car we sell is HPI clear with certificates to prove. LOW RATE FINANCE DEALS AVAILABLE. Open 5 days a week and weekends by appointment. Please call for availability & viewings.